W&O Events has announced a strategic merger with communications specialist Choice Healthcare and Asia-based clinical research organisation Choice Pharma. The deal sees W&O become majority-owned by Choice One, enabling the agency to offer healthcare clients access to a range of services, including event planning and medical communications. W&O said that the deal also extends its global reach thanks to Choice One's regional headquarters in Dubai, New York and Shanghai. 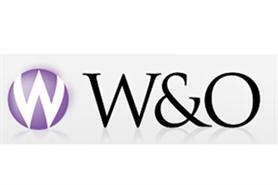 Sallie Coventry, W&O’s managing director, said: "This is an exciting time for W&O. We are delighted to be able to introduce our healthcare clients to a wider range of services through the group." The deal comes after Western & Oriental divested its travel division for £1.5m to focus on its events business earlier this year.